Note: TLS has one specimen collected by W.W. McGuire from Gomez Farias. No U.S. records. Walker, F. 1854. Lepidoptera Heterocera. 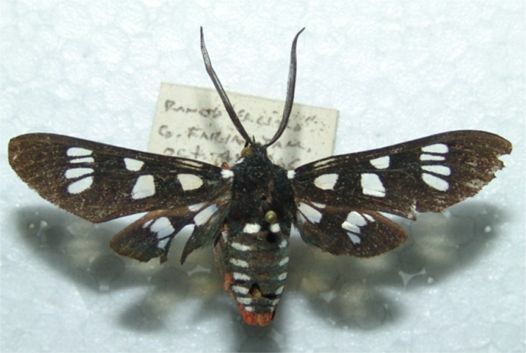 In: List of the Specimens of Lepidopterous Insects in the Collection of the British Museum. Vol 1: 228.